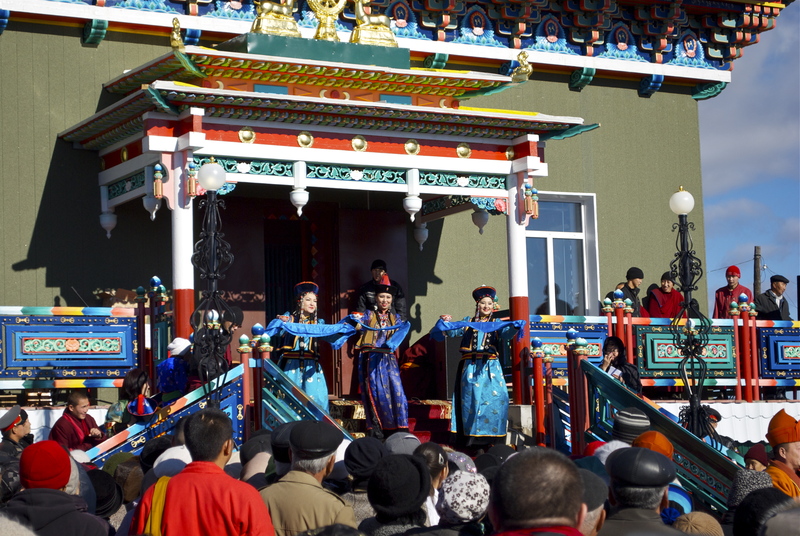 Buddhism made inroads into the native populations in Siberia during the 1700’s. Prior to that Shamanism was the only religion practiced amoung native peoples. 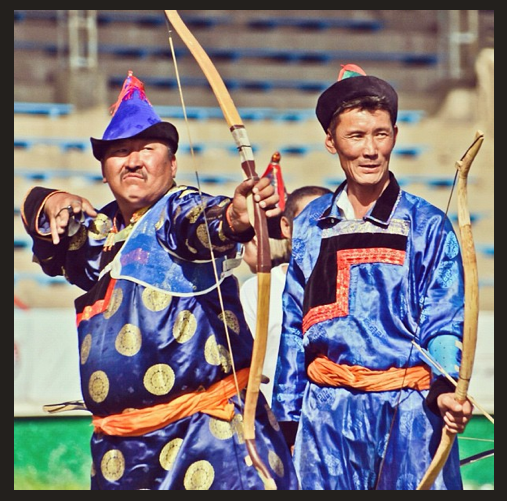 This video, filmed in the Aga region of Siberia, demonstrates typical life in Buryatia. The Aga region is not part of Buryatia (the video is mislabled). 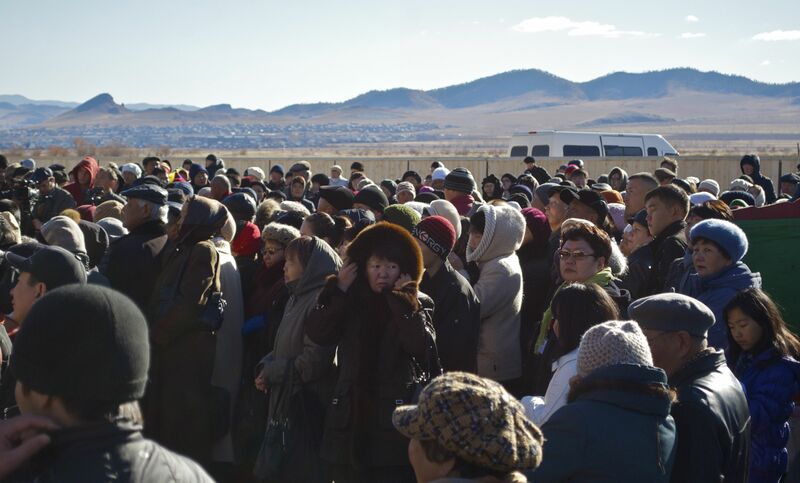 There are two places outside of Buryatia, Aga, in the Chita Region, and Ust-Orda in the Irkutsk Region where there are significant populations of Buryats. 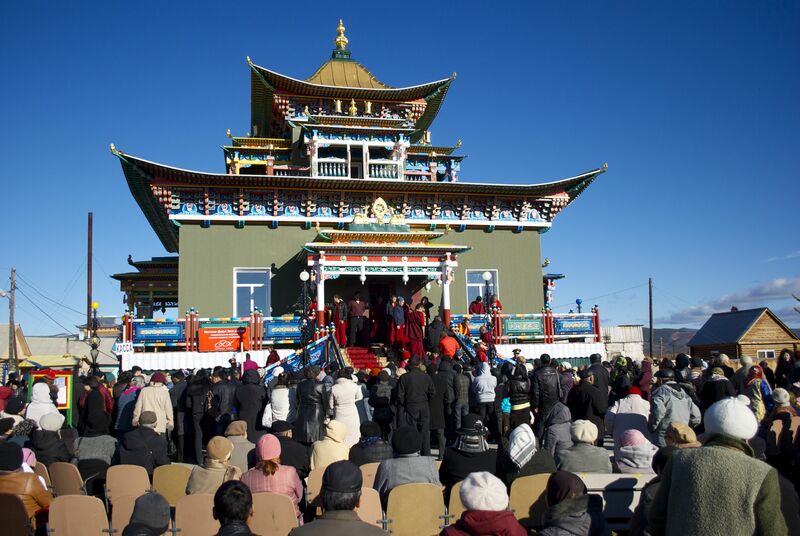 Lyonya, my brother in law, and I had made the twenty-five minute drive across the steppe from Ulan-Ude to Ivolginsk, the center of Buryat Buddhism in Russia. We came to witness the climax of work begun by a local business woman in 2006, building a temple to the Green Tara, a female form of Buddha. Aesthetically, the architecture and carven details were marvelous, there is a mystical beauty to Buddhist temples. But any time I walk Buddhist temple grounds, I am haunted by heavy emptyness, a disquiet sitting in my soul. I asked Lyonya what he felt, he said “I feel sad for my people, sad they are being decieved”. 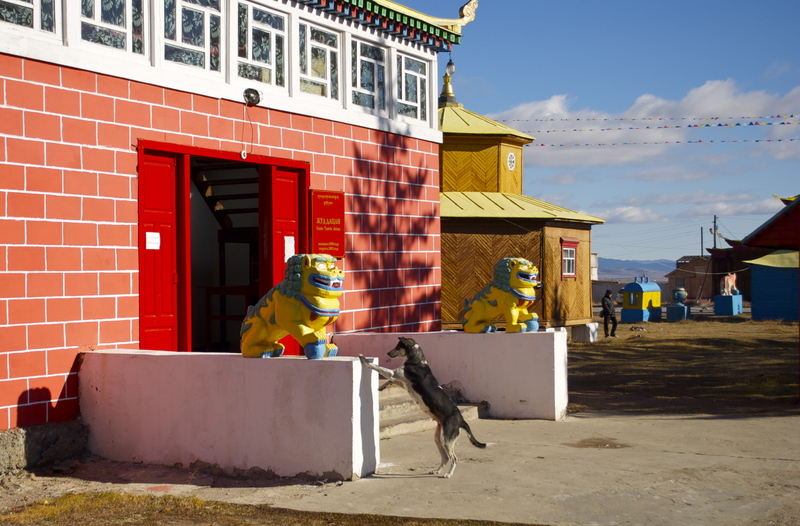 Prayer wheels spun, coins dropped, candles flickered, flags fluttered, monks orated, big-whigs toured, temple-dogs scavanged, sacrifices sat, the people sent up shivering prayers. 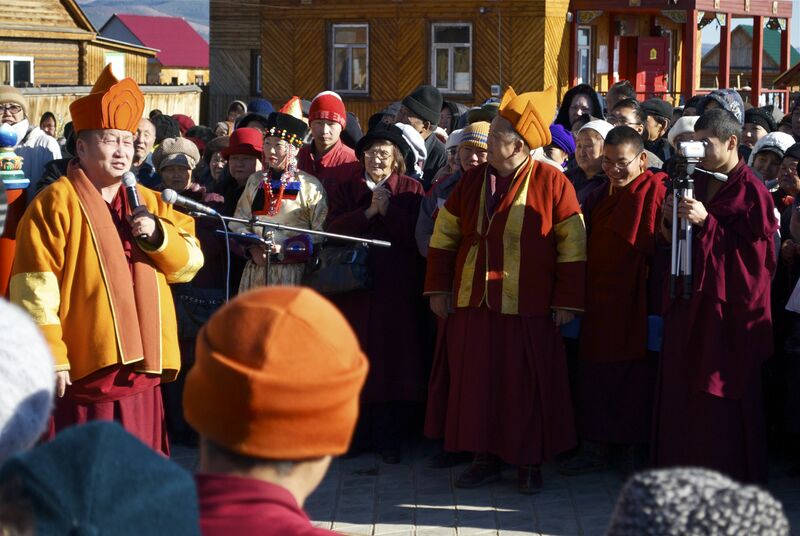 The Hambo Lama, spiritual leader of Buddhism in Russia, addressed the crowd in Russian and Buryat. 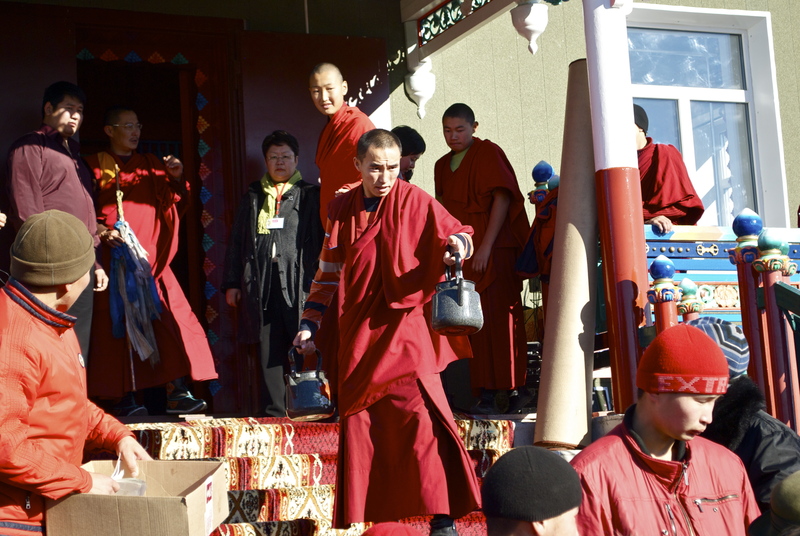 He explained the virtues of the Green Tara, praised, haraunged, and humored the crowd in turn. 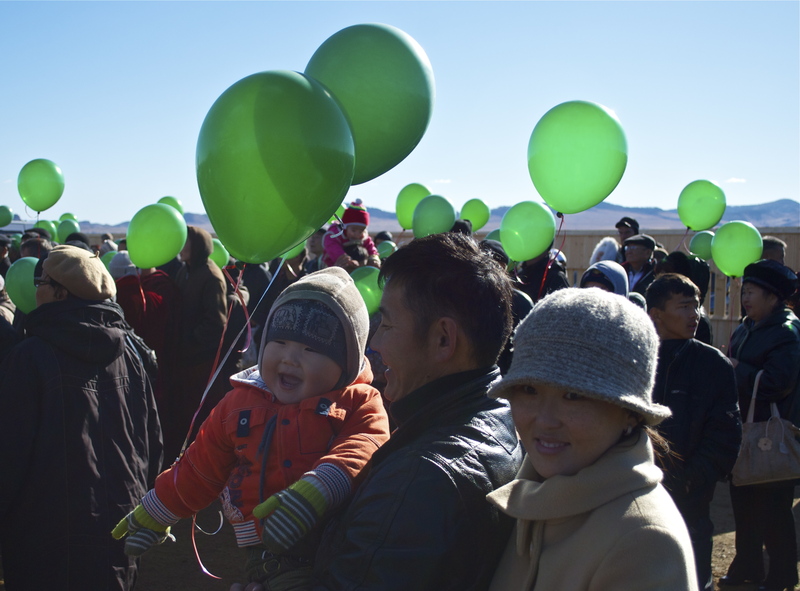 Other dignitaries and ranking monks said their peace, while green helium baloons were circulated throughout the crowd. Glowing like floating emeralds against a powder blue sky, they were the days highlight, delighting toddlers and their parents alike. These balloons made this boy’s day! I laughed with his parents at his pleasure.